You are SO crafty Jill! I don’t have a creative/crafty bone in my body so I love seeing other people do things like this. 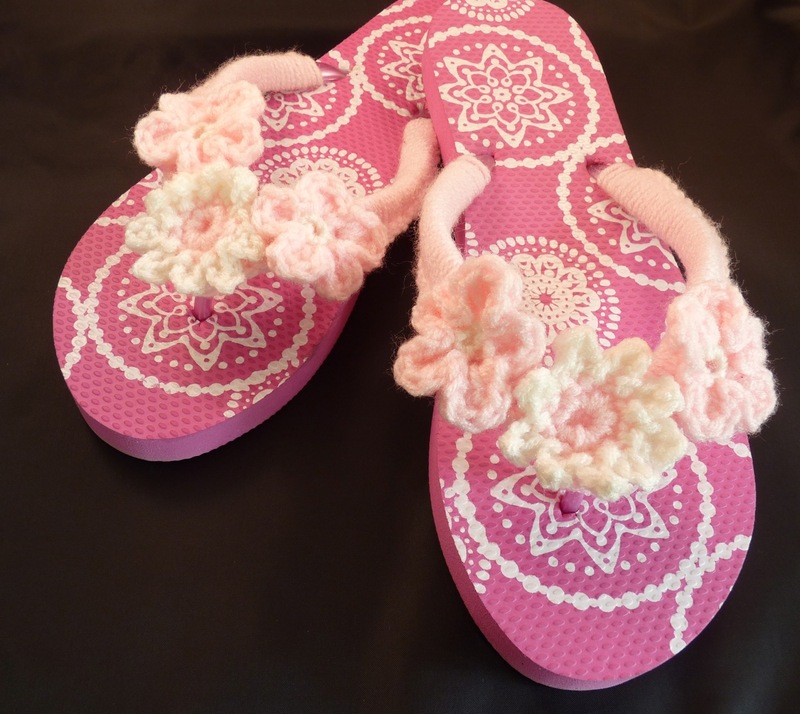 The flip flops are adorable! Wow! These are so creative and so cute! Love them!!!!!!!! These are so pretty – and in my favourite colour, pink! Those are adorable. 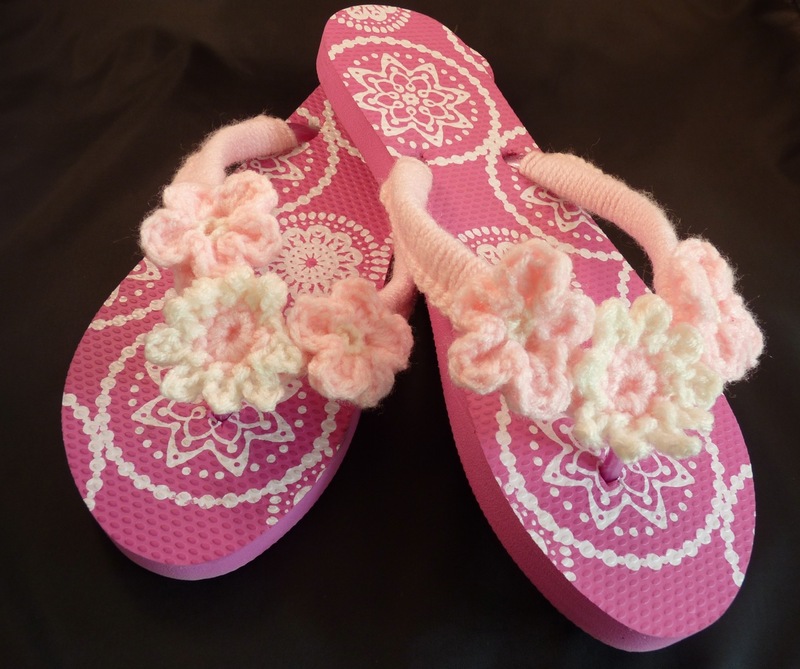 What a creative way to personalize a pair of flip-flops!